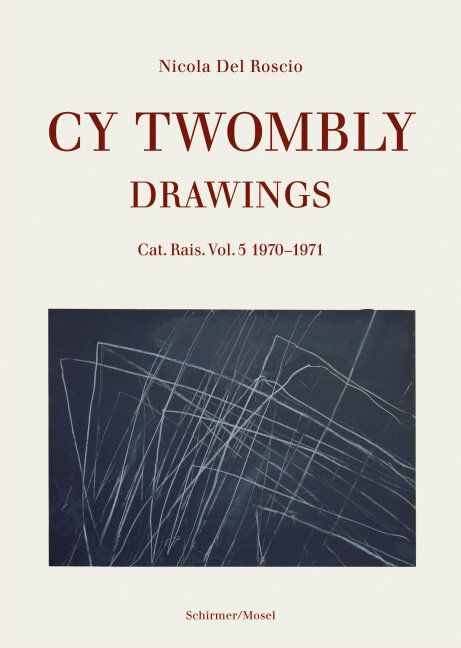 1970/71 was a very prolific period, in which Cy Twombly, influenced by Leonardo da Vinci’s Deluge drawings, created his iconic style: scribbled, calligraphic, and graffiti-like works on solid fields. His drawings of this phase include, among others, acclaimed extensive series such as Roman Notes, Study for Treatise on the Veil, and Beyond (A System of Passing). Schirmer/Mosel. Ed by Nicola Del Roscio. 200 pages, 215 colour plates. Size: 24,5 x 34 cm, hardcover. English edition.